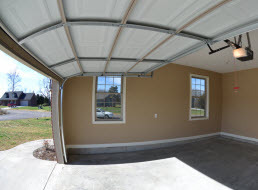 AAA Garage Doors is completely licensed and insured to bring residential homeowners of the Greater Knoxville, Tennessee area with a number of garage door services. We are committed to bringing our valued customers professional quality workmanship as well as traditional values such as high moral standards and work ethics and friendly customer service. AAA Garage Doors technicians have advanced and ongoing training, years of valuable experience, and extraordinary skills that are amplified with the use of high-end products, tools, equipment, and supplies exclusively sold to licensed professionals to ensure to our customers that they will receive nothing less than the best. AAA Garage Doors offers residential and commercial garage door repairs in Knoxville, Tennessee and surrounding areas. 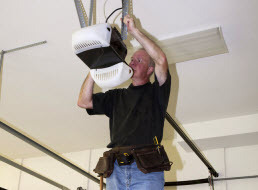 There are a number of issues that can arise on your garage door; the garage door opener, springs, cables, tracks, panels, and safety features are just a few examples. 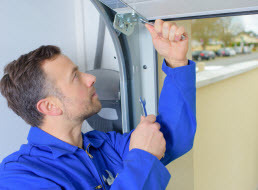 After AAA Garage Doors technicians perform a visual inspection on the suspected issues we can assess the depth of the issues and make a diagnosis. After consulting with you and offering our recommendations, we can proceed to make the necessary adjustments. It is imperative you leave the garage door repairs up to the professionals. Not only will doing alterations yourself possibly void your warranty, but many repairs can cause serious bodily injury or extensive property damage if done improperly. Let the experts from AAA Garage Doors do the work for you and keep you and your family safe. 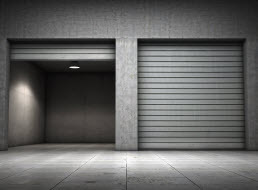 If your home or business’s garage in the Greater Knoxville, Tennessee area is in need of repairs; contact AAA Garage Doors today to get started today!